Sherlock Holmes was based on a real man, a physician who trained Arthur Conan Doyle at the University of Edinburgh. During his medical lectures, Joseph Bell regularly astonished his students with insights into his patients’ lives and characters. 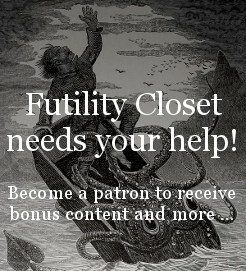 In this episode of the Futility Closet podcast we’ll meet Joseph Bell and review the stories of his legendary acuity. We’ll also take a tour through Greg’s database of unpublished oddities and puzzle over how having your car damaged might be a good thing. 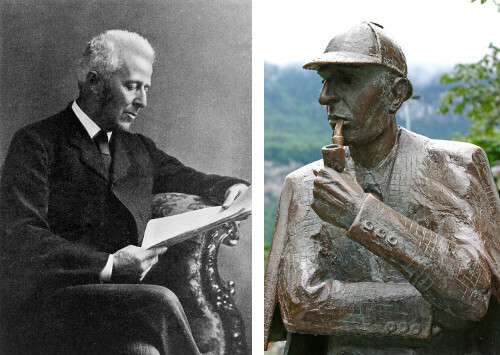 Our segment on Joseph Bell, the inspiration for Sherlock Holmes, was based on Northeastern Illinois University literature professor Ely Liebow’s 1982 book Dr. Joe Bell: Model for Sherlock Holmes. Our original post on Joseph Bell ran on April 27, 2014. Harry How’s 1892 Strand feature “A Day With Dr. Conan Doyle” is reprinted in the Conan Doyle Encyclopedia. Joseph Bell wrote the introduction to the 1892 edition of A Study in Scarlet — Wikisource has a scan. Somewhat related: When Arthur Guiterman twitted Doyle for having Holmes denigrate other fictional detectives that had obviously inspired him, Doyle responded in kind. You can listen using the player above, download this episode directly, or subscribe on iTunes or via the RSS feed at http://feedpress.me/futilitycloset. Many thanks to Doug Ross for the music in this episode.